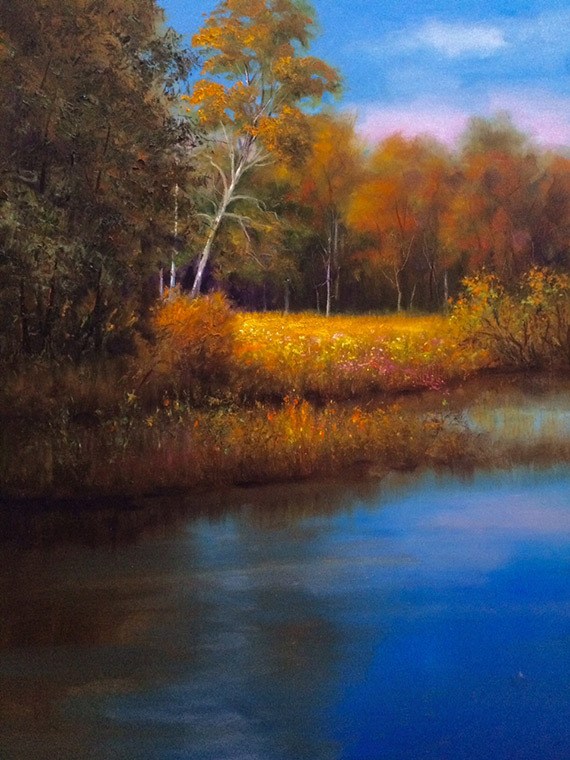 This is a 30 x 40 oil on canvas titled autumn by the lake. It was done this past fall out by Lake Bailey. It was a combination of the composition and color than attracted me to capture this mood.